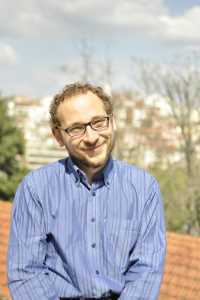 Cristiano Gianolla studied Computer Science, Philosophy (BA), Political Philosophy (MA), Human Rights and Democratisation (E.MA), Sociology and Political Science (PhD) in Italy, Germany and Portugal. His main fields of expertise are democratic theories and their intersections with the metaphorical South, interpersonal and intercultural dialogue, cosmopolitanism, post-colonialism and global justice. He worked in the Information and Communication Technology field as well as for Non-Governmental Organisations, International Institutions and in Academia in various countries. Between 2011 and 2017, he has been a junior researcher at the Centre for Social Studies of the University of Coimbra, Portugal and since 2017 he is a researcher in the same institution where he currently integrates the ECHOES project.